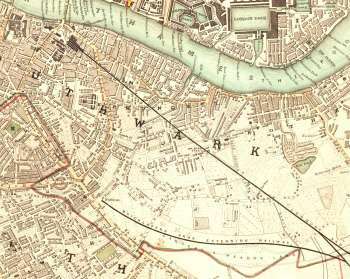 This map shows Bermondsey in the early stages of its urban and suburban development. The built environment is as much an industrial as a residential landscape. Warehouses and wharves line the river and amongst the fields are tan yards and rope walks. 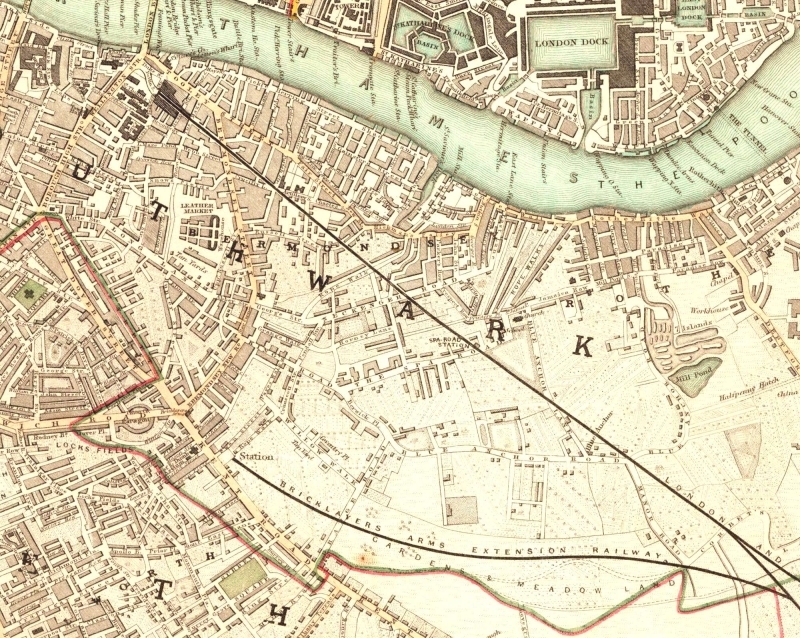 Two railways cut through the area: the London Greenwich and the Bricklayer Arms Extension, the latter only carrying passengersuntil 1852.